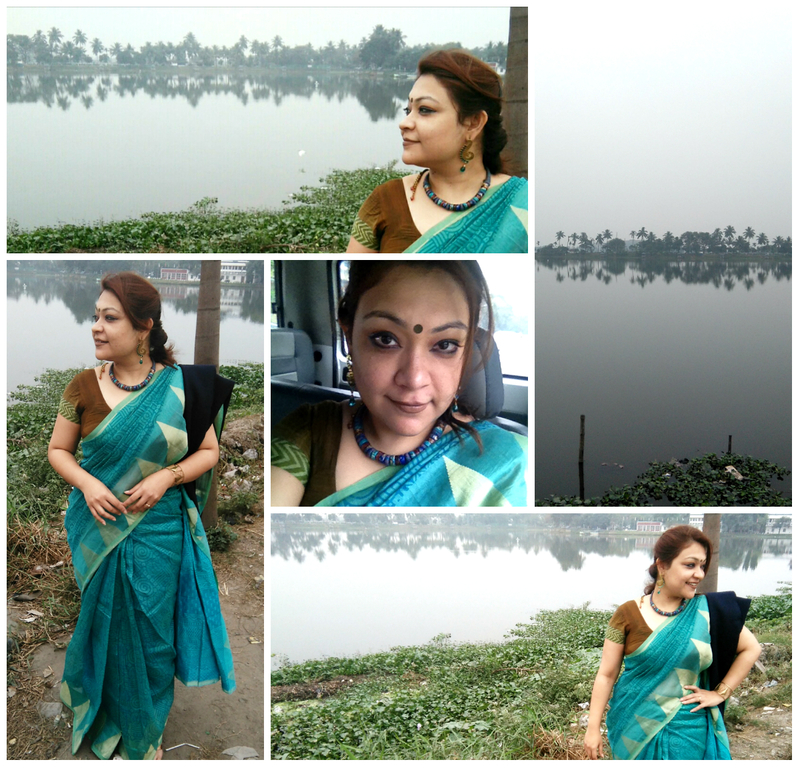 100sareepact | Wait, its Wetlands !! The East Kolkata Wetlands are a mix of natural and human-made wetlands lying east of the #CityofJoy! Covering over a stretch of 125 square kilometers, it includes salt marshes and salt meadows, as well as sewage farms and settling ponds. The wetlands are used to treat Kolkata’s sewage, and the nutrients contained in the waste water sustain fish farms and agriculture. The East Kolkata Wetlands host the largest sewage fed aquaculture in the world. Under the Ramsar Convention on August 19, 2002 these were designated a “wetland of international importance”. A small part of such land falls on the way to my office journey, every day. For that matter, a huge part of working Kolkatans pass these lands up & down….everyday. Hardly anyone of us stops, looks at the wetlands, asks, and promises to keep it safe! If we do not take care of it, a natural war will take place that will hamper the ecological balance affecting us the most. A senior friend once explained in a simple language, wetlands are natural kidneys of the nature.. We are gifted with natural kidneys of nature. If we do not take care, like our body, the city will be dead soon. 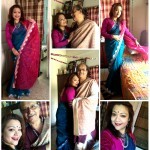 My 87/100 #100sareepact is a bright cerulean blue Kota with a heavy golden zaree borders in temple design. The oriental patterns throughout the saree give it a wonderful ethnic look. These watery blue was my choice for my Wetlands’ story, and I intentionally paired it with a contrast mud-coloured short sleeves silk blouse. The freshly settling cold weather, a bit of the sad wind surrounding the wetlands and its natural serenity caught my romantic mood resulting these unmindful images. A request, my friends; Wait a bit, see and feel the environment around us and try to bring some positive changes for now, for future in your own way. Let’s Love nature and try to hold these natural gifts as far as possible…..